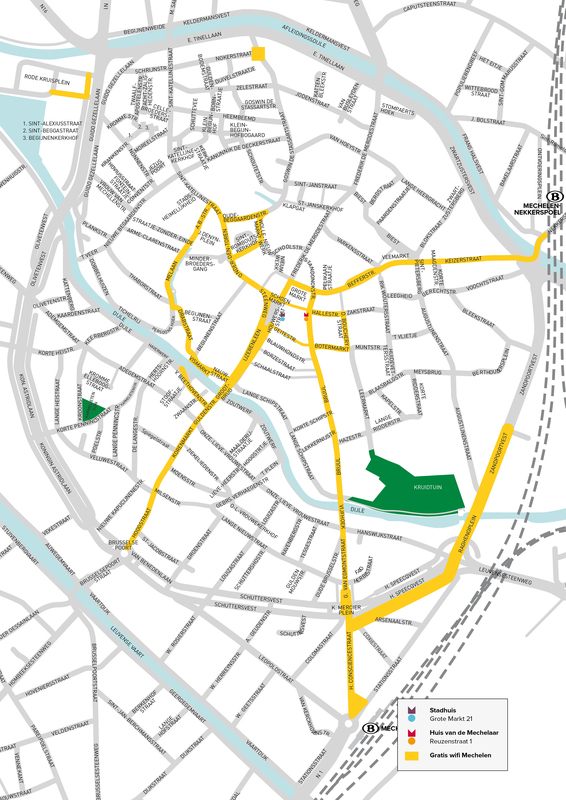 Enjoy free Wi-Fi during your visit to Mechelen, from the station to the commercial centre. Search for “Gratis wifi Mechelen” with your device and log in with your mobile phone number, Facebook or Gmail account. Everyone receives one hour of free access to this Telenet network. After one hour, you can continue your session after paying. Choose the “TelenetWiFree” network if you are a Telenet customer. You have unlimited access to this network in Flanders, wherever there is coverage. The Wi-Fi network has been highlighted in yellow.